Würth Elektronik has a strong culture of innovation, characterised by a focus on promoting technical advancement, research & development as well as a rapidly increasing number of patents. This is because our aim is to be your first choice partner for innovations in electronics and to pre-empt the challenges of tomorrow and meet your needs in terms of intelligent products and systems. Our commitment was acknowledged with countless awards and prizes and the inclusion in a high-ranking list of the most innovative companies. 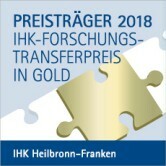 Together with the Fraunhofer Institute for Reliability and Microintegration IZM, Würth Elektronik CBT won the CCI research transfer prize in gold for the project TWINflex-Stretch. Thanks to elastic, flexible circuit boards, this technology now allows random adjustment of complex electronic systems and sensors, for example to the human body or wearables and textiles. An absolute novelty. The three companies of the Würth Elektronik Group have been awarded for their successful innovations in the “Electronics & Electrotechnology, Automation & Measurement Technology” category for the third time in succession. As such, they are regarded among the most innovative companies in Germany. 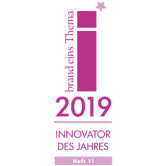 Around 1,200 readers of the professional journals DESIGN&ELEKTRONIK and MEDIZIN+elektronik, voted Würth Elektronik CBT Innovator of the year in the “Electromechanics” category. This honour was awarded for our contribution to interactive microimplants within the BMBF innovation cluster INTAKT. What is more, Würth Elektronik Circuit Board Technology is involved in a number of other research projects and is regularly bringing new technologies onto the market.